1. I recently tracked down a vintage collection landspeeder and was looking for some figures to match up with it. The Last Jedi C-3PO and R2-D2 seem to work okay, but are there any Luke and Obi-wan figures that can sit in it? 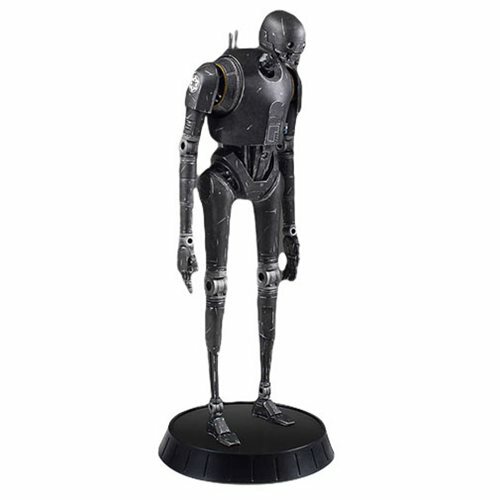 I tried looking online for which versions of those figures might work, but it seems like the figure archives at various sites haven't been able to keep abreast of everything that's out. 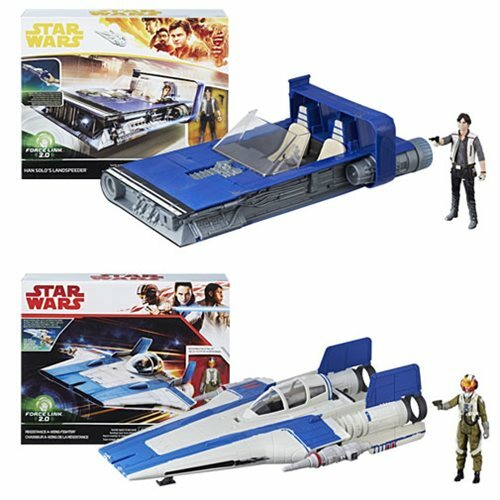 Kenner stopped really giving a rip about vehicle piloting in the 1990s, by 1998 we were getting new versions of Luke and Leia who couldn't sit. Even the 1995 figures weren't designed with vehicles completely in mind, unless some sort of pretzel-based seating was intended for the Millennium Falcon. Many figures would come with soft plastic "skirts," sometimes straps or hoses, that would warp if the figure sat for more than a few seconds - making them, erm, "happy to see you." Hasbro is wonderful at design, but there are occasional lapses in the real-world application of products. You may wish to go back to the Second Great Age of Star Wars Figures. I've just made this term up. The First Great Age of Star Wars Figures was 1978-1984. The Second Great Age was from December 2003 to Spring 2015 - that would be the era of Super Articulation and Abundance. The 2004 Luke Skywalker from the first modern Vintage Collection can indeed sit and thanks to his soft goods, won't put up much of a fight. Vintage OTC Obi-Wan Kenobi had some top-notch figures in 2004 with his Vintage release, and a much better one shipped in early 2009 in The Legacy Collection. All of these are expensive now. 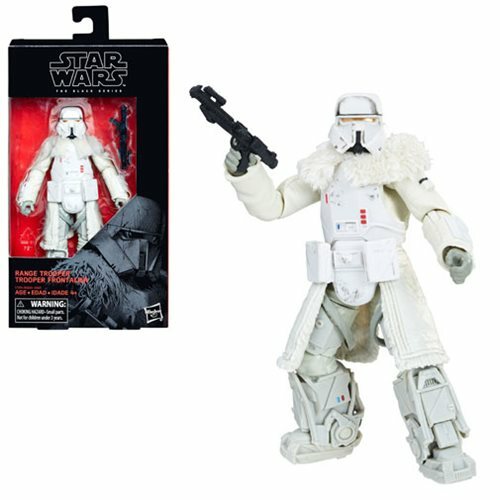 Another pretty good Luke is the Resurgence of the Jedi Battle Pack, but it got expensive. Kenobi has cloth robes, Luke is super-articulated but has plastic clothing. 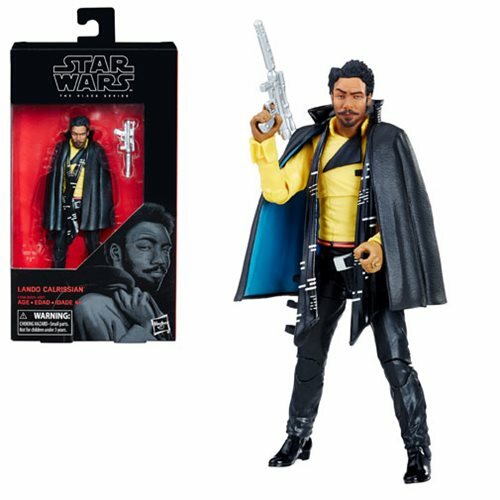 I don't recall this Luke getting another release, which is a shame as it's Hasbro's best 3 3/4-inch original costume Luke figure. If you need something cheaper - but still overpriced - The 30th Anniversary Collection Moisture Farmer Luke may be a good fit. It's one of my all-time favorites thanks to his wind-blown hair and the giant moisture vaporator in the box. At this point, you should save your pennies or start lobbying Hasbro to reintroduce either of these in their Vintage Collection retreads. There's still some quality figure action to be had, and of course there's always room for some improvement. 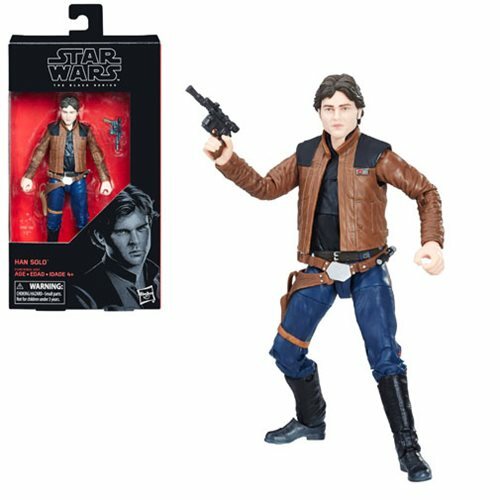 Ad: Pre-Order Solo Star Wars at Entertainment Earth! 2. All of the sudden hulu is showing me star wars toy commercials. What's up with that? Is there a new advertising push, have the robots mined my social media profiles? I know you you probably don't have a specific and actual answer to this, so I'll broaden the question: what advertising do you think Hasbro should be doing. If you like this stuff and you're seeing it where you are, Hasbro has done the right thing! Reaching fans today is harder than ever, because you probably don't need to try hard to convince fans going to fan sites to buy. 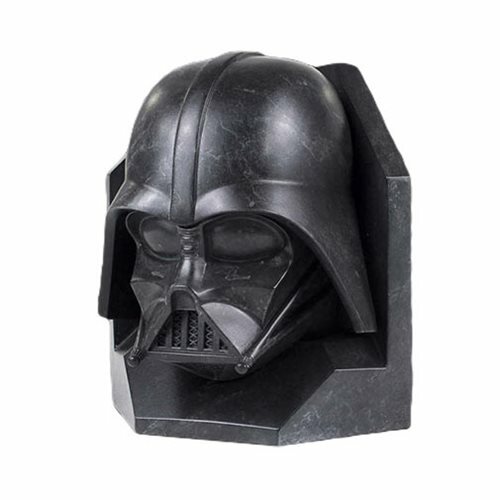 The trick is getting the people who don't post "Shut Up and Take My Money" reaction images on forums to buy. 15 years ago, I would've said toy and fan magazines - but those are gone. 30 years ago, you had Saturday morning TV and afternoon syndicated programming. But that's largely over - it's just Cartoon Network, DisneyXD, and so forth. Before that, you had comic books and newspapers too. Old media and toy marketing went well together. With fewer network channels and more limited entertainment options, you could reach kids (fans were less of an option at the time) easily. Kids asked for your product by name because advertising trained them to do so - and that's kind of ghoulish, but it worked so well we're sitting here talking about it 40 years later. Parents are doing an increasingly good job of shielding their kids from marketing because of things like Netflix, DVRs, and the increasing proliferation of video games. The game is the product - you paid for it. Outside of loot boxes, you're generally not being upsold McDonald's or sugar cereals. Marketing people need to develop The Next Big Thing. Print is dead. Cord-cutting caused people to stream, or watch over-the-air stuff. I'd like to think there might be some prospects to radically redevelop antenna-based TV as a free form of entertainment that could be bundled with ads, but when I see reruns of Star Trek or That 70's Show it tends to be for can openers, copper pans, or products for seniors and not toys. You have to put your message in front of kids, and parents have aggressively prevented that while companies like Netflix and Apple have provided alternative forms of generally commercial-free entertainment. Disney decided to put its ad for Star Wars Rebels toys - a clever idea of a 22-minute cartoon called Star Wars Rebels - on a channel nobody gets rather than putting it on ABC so it could actually be seen by the most possible viewers and sell some crap. But that's not my fault. Advertainment is probably the only way to go. 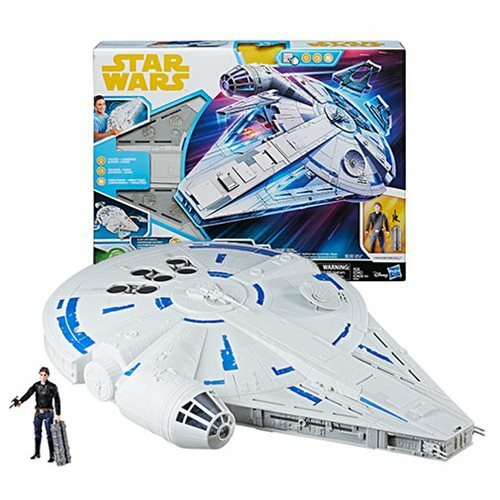 Make a good piece of entertainment that demands fans buy toys - it works for video games and it has worked for Star Wars on TV when product existed to support it. (The Rebels stuff sold, the Rogue One stuff is still around.) A weekly TV show is the prince of commercials - and it was squandered thanks to annual new movies. That's what happens. 3. Given the pricepoint of Haslab's first kickstarter style project, would you rather see a smaller project, around $300 with add on figures or accessories, like kickstarter's various support options, or possibly three or four proposal projects and vote on which one should be the next project produced? I think Hasbro did it right. Consulting fans is a bad move, it introduces doubt and endless "Well it would have worked if they just did it my way" commentary. Hasbro coming up with a design and letting the free market decide is a decent idea, although I am not in love with the idea of fronting the money this far in advance given the general uncertainty of the toy industry in 2018. 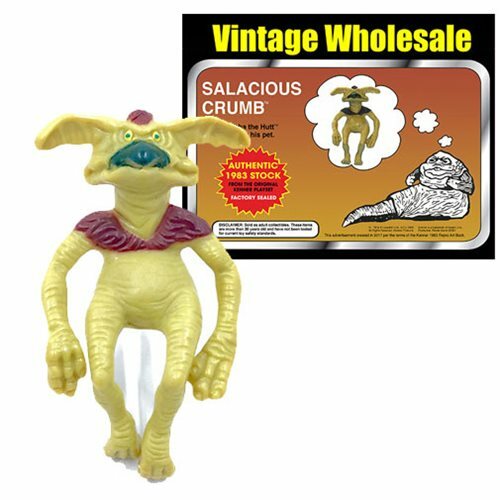 I asked Hasbro and they said from concept to the HasLab pitch, Sail Barge development took six months. So if they did poll us, we'd have to wait - and instead of our reaction being "I'd like to buy that," it would be "Eh, I would have done it some other way." From the background radiation, odds are the next HasLab project won't even be Star Wars, but from Hasbro's other properties. If I were picking the next one, you'd probably see something cheap that would be an easy victory for all parties. 1. Finish the Vintage Collection (Barebones Edition) - Imperial Dignitary (Sim Aloo), Bespin Security Guard with Mustache, Power Droid 1979-style. That's a redeco, a new figure, and a new head on an existing body. Easy. 2. Finish updating the original Kenner collection, Kenner-style - the above, but also add in the four Cantina aliens, Warok, and Romba. That's four new molds and two repaints... plus arguing with you all over "what must be updated." I've talked with one fan who feels Hasbro and Kenner haven't adequately updated the 1983 Rebel Commando, while I feel the 1998 figure meets my "good enough" standards. This might take some work. 3. Make Adam Happy - Ewoks and Droids Adventure Collection. Remake the originals. Make the unproduced figures. Please and thank you. Failing that, just make Tig Fromm, Sise Fromm, Vlix, and some thugs and I will shut up and go away. Look, I'd buy it. 4. Bespin Cloud City Playset - look, this is one of the best environments in the movie for action and environment, but not figure display. Freeze Chamber. Dining Room. Landing pads? Wind vanes. Ice Cream Maker Guy Hallways. 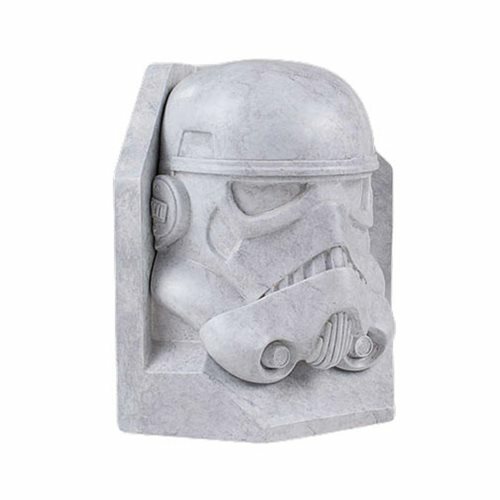 It has a lot of activity, a lot of action, and a lot of moving parts - plus sword fights and reasons to sell fans more of the main, popular characters like Darth Vader, Boba Fett, and more Stormtroopers. If the Sail Barge didn't make it, neither will this. So just upsize the Micro Collection and call it a day. 5. Wampa Cave. Easy. Upsize the 1982 MicroCollection toy. I can use my new figures with it - just add in some foot pegs. We'll all be very happy. It could be done with maybe 2-3 pieces of plastic and no paint. I DARE YOU. As of my writing this, Toys R Us should have shut down its first 180 stores. I went to two of them on Friday, and again on Sunday. On Friday one store looks like a bit of a war zone, they even roped off the part with fixtures you can buy and seem to have no interest in letting you see them. The other looks amazing, clean, and has access to a corral of fixtures. (I bought a LEGO shelving cart for the purposes of a "receiving deck" with shelves and pegs for items I still need to open and review.) I have two other stores I frequent much less to check still. On Sunday, the store closed early except for fixture pick-up. No new sales were permitted - but I did score something on Friday along with some Animal Crossing Amiibo figures. The shelving is a new "receiving deck" in my main office. I will be sure that there will always be new toys on the shelves of Toys R Us. Now someone hand me a 40 ounce something or other to pour out. It's really kind of amazing to see the outpouring of love here, particularly since Kay-Bee's decline was more of a huff, a whimper. Maybe it was because of the decline of the mall, but there was also some similar (I daresay misguided) complaints about pricing and "good riddance." Due to professional courtesy I shall not name the toy companies that will probably go away in the coming 12-24 months because Toys R Us was their biggest customer and the business may not be sustainable without other strong partners. Similarly, there are some companies that are diversified enough that they're going to be just fine. The Toys R Us I frequented twice a week near my home was the same one I went to the most as a child - I just happened to move into that neighborhood once we moved back to town. I picked up most of my Amiibo figures there, a significant amount of LEGO, more than a few of my video games over the years, and more exclusive than I care to count. Heck, I remember antique shows I went to, and somehow we ended up near there for lunch and I asked if I could stop in. (Often the answer was no, but it was yes a lot too.) It was right next to a Lionel PlayWorld, the previous biggest toy store chain in our state, which began a rapid decline as soon as Toys R Us came to town. Times change, stores come and go, and as much as I would love to say "toys are forever!" we've all seen that isn't always true. I assume someone will always want to have a grip on Star Wars, even if it's not action figures, even if it's not Hasbro. They still make Betty Boop and I Love Lucy and Wizard of Oz decades after they were America's favorite fill-in-the-blank - there are dark times, but we may well be beyond anything truly ever being permanently dead. Other than Crystar.